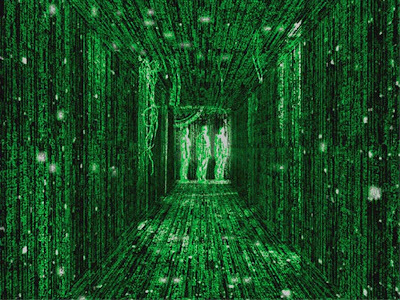 Manifesting Reality: What if the Matrix is Real? What if the Matrix is Real? You know how the manifesting techniques all seem to rely on being able to change the Universe around you? Well the skeptics dismiss that because the universe around you is real. "The Matrix" opened a lot of people's eyes to what might be "real" and what might not be. But as I've said before, I was reading "The Teachings of Don Juan: A Yaqui Way of Knowledge" back in the 70s, so this "what you see isn't real" idea isn't new to me at all. And no I didn't do Peyote, I think in NC you can get shot for that. But what if you found out the universe really isn't real. What if there were scientific proof? "If this doesn't blow your socks off, then Hogan, who has just been appointed director of Fermilab's Center for Particle Astrophysics, has an even bigger shock in store: "If the GEO600 result is what I suspect it is, then we are all living in a giant cosmic hologram." Yes, there is a chance this might be the Matrix.